Time to celebrate! 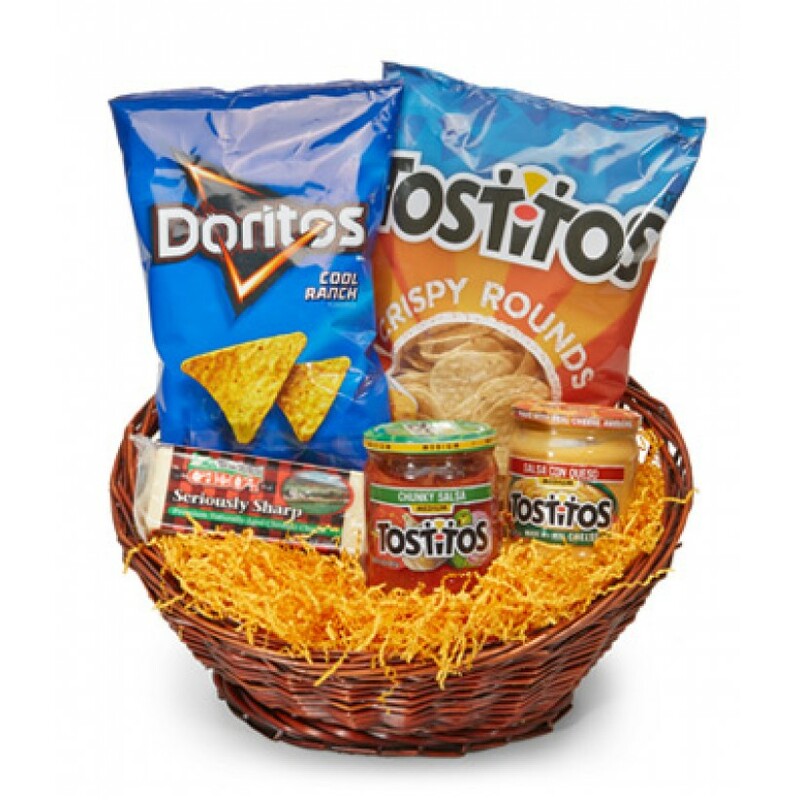 This basket is festive for any fiesta, with snacks like nachos, chips, cheese, and salsa, this basket is guaranteed to get the party started. 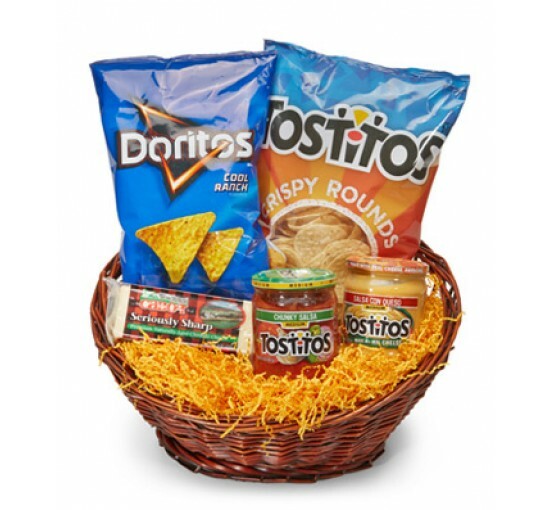 A unique and delicious gift, our Fiesta Basket is a perfect way to say Thank You, Congratulations, or just to add a little life to the party. Please note that the snacks may vary.